Our union, like many modern labor unions, was founded in the 19th century to set standards for uniform compensation in the trades and provide a community for workers to share ideas and solve problems. 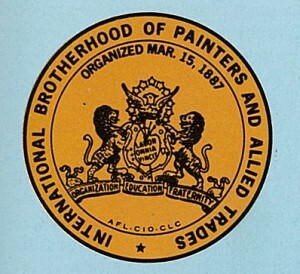 The Brotherhood of Painters and Decorators of America was organized formally in 1887. 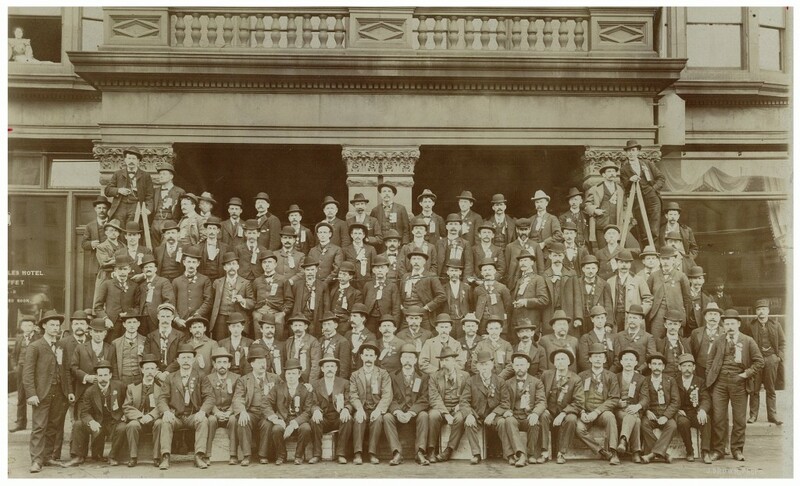 Within a year, the union boasted a membership of over 7,000 tradesmen and more than 100 local unions. 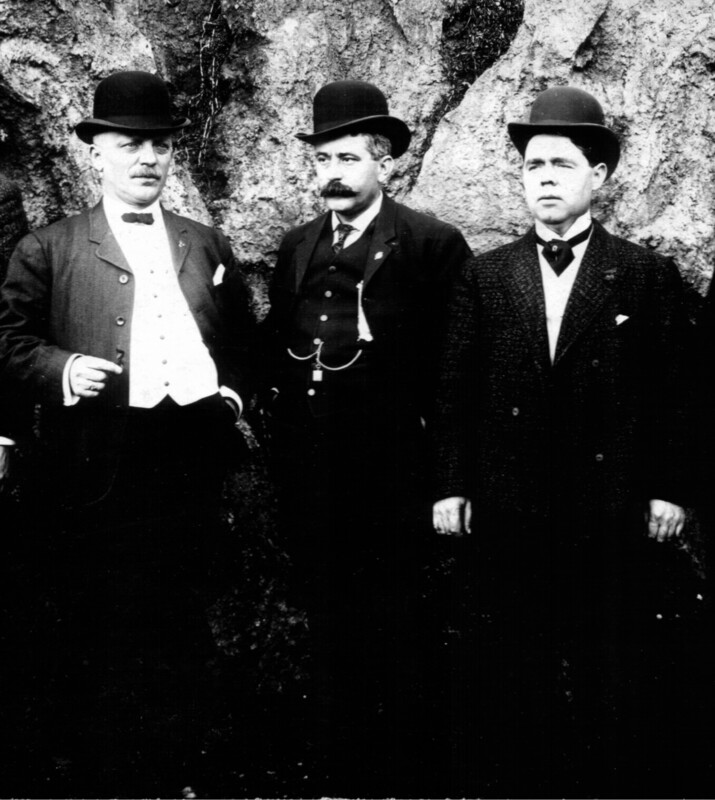 These trade unionists soon realized the power that they had together, rather than staying separate and facing their problems alone. 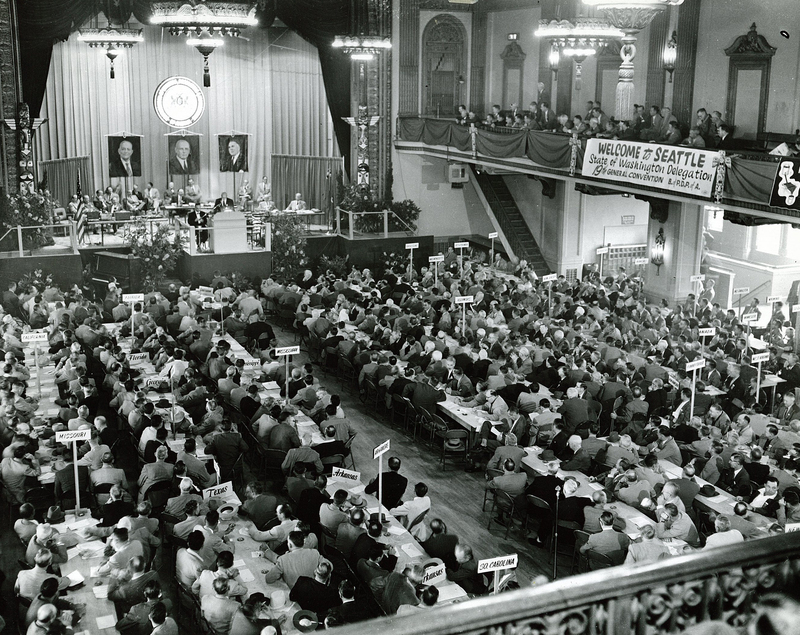 Backed by a growing centralized union, these dedicated organizers won victories over oppressive working conditions that were once thought unchangeable.Today, the IUPAT continues to do its part to lift working families and the rest of the middle class by marching to the words of our founders:“Single-handed we can accomplish nothing; but united there is no power of wrong we may not openly defy.”Learn more about the history of the International Union of Painters and Allied Trades below. December 1899: 7th Biennial Convention of the Brotherhood of Painters and Decorators of America. 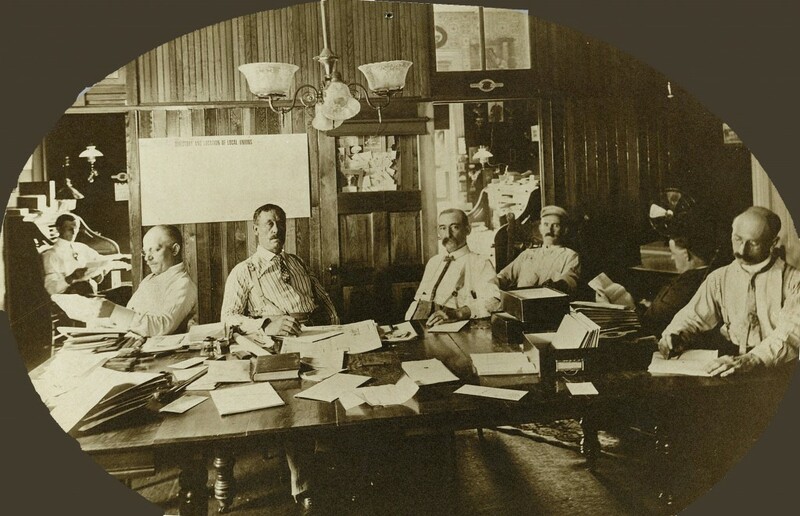 Officers in the General Executive Boardroom of the Brotherhood headquarters in Lafayette, Indiana, circa September 1903. Former General Presidents (left to right): Joseph C. Balhorn, (1901 – 1909); James H. Sullivan, (1894 – 1898); John M. Finan (1928 – 2929). Filing Card and Journal Department of the Brotherhood headquarters in Lafayette, Indiana, circa September 2003. Correspondence Room No. 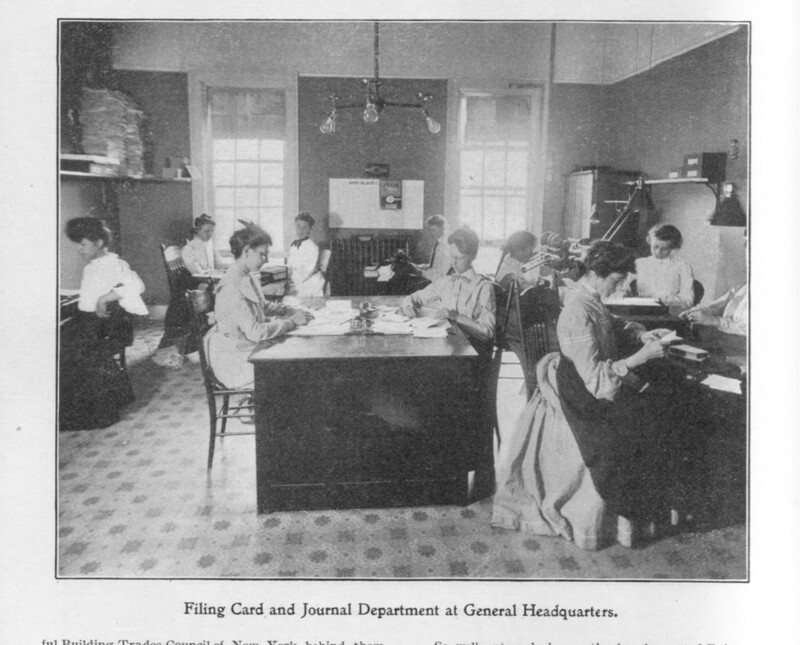 2 at General Headquarters, circa September 1903. The gentleman on the far left has been identified as W. Cook. 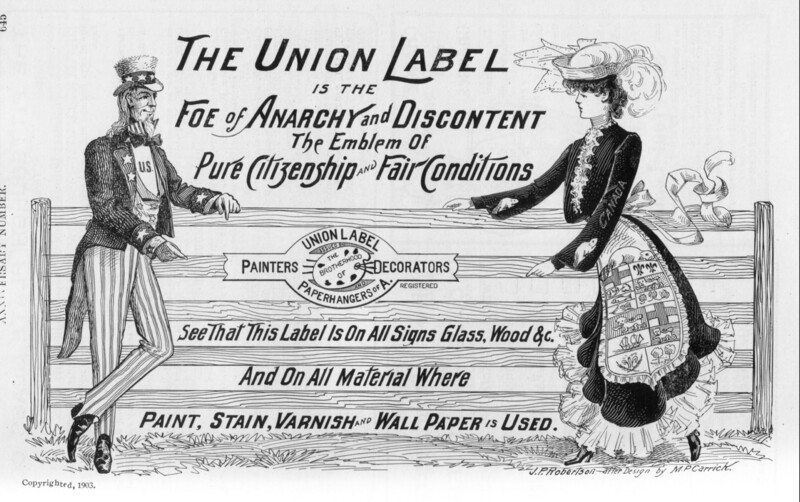 This union label ad was printed in the 1903 anniversary edition of The Painter and Decorator. 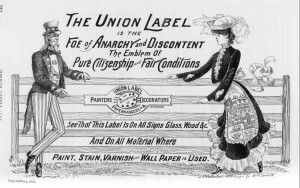 The union label is, has, and will continue to be printed on everything this union prints, including our business cards, Constitution, and even the Journal (check the bottom of the table of contents page of the latest issue). 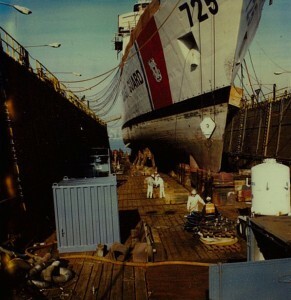 We are proud union members, and we have the label to prove it. 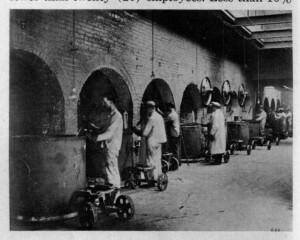 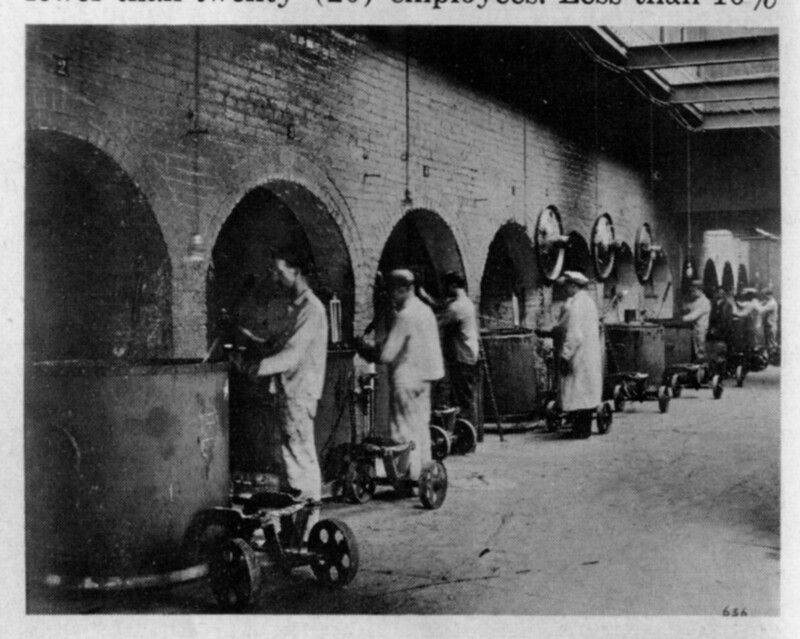 Paint makers, circa 1904. Colorized for display in the International offices in the late 90s, this photo currently hangs in the General Executive Boardroom with others from its time period. 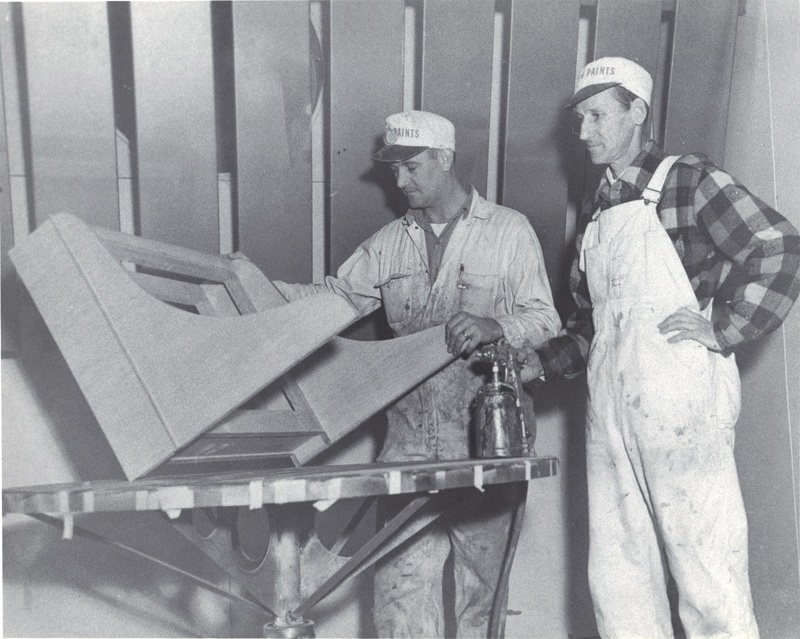 Did you know that SC Johnson, the fifth-generation family company that makes global household brands including Pledge, Windex and Glade got its start over 126 years ago in Racine, Wisconsin as a small parquet flooring company? 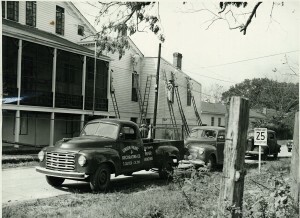 They are former sponsors of the Painter and Decorator. 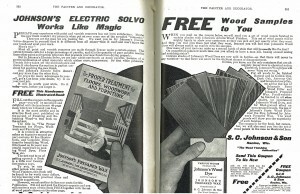 Here is one of their ads from a 1908 issue. 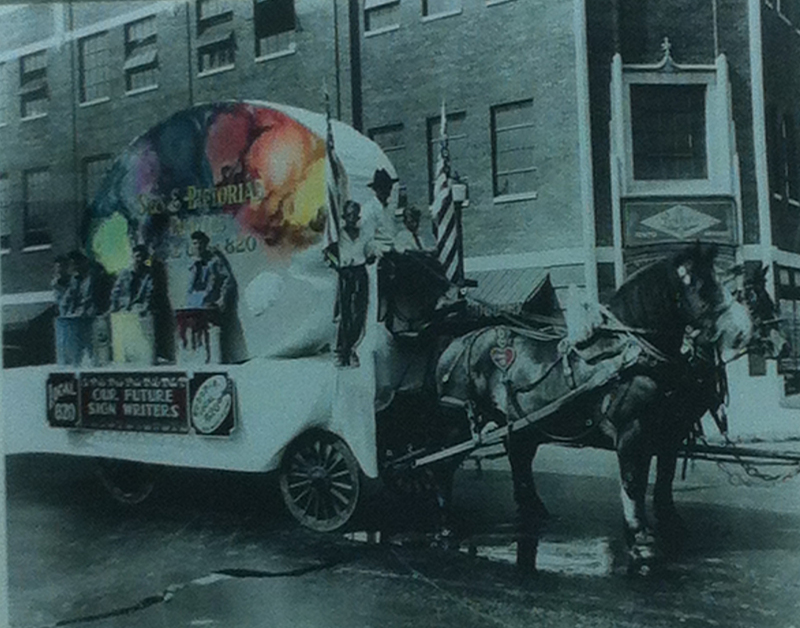 Members of Sign and Pictorial Painters Local 820 (Raytown, Missouri) on a horse-drawn float in the early 20th century. 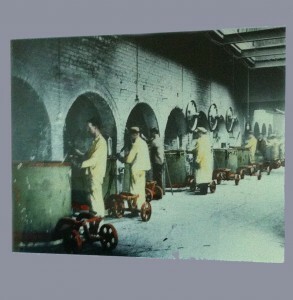 This photo was colorized for display in the International headquarters. 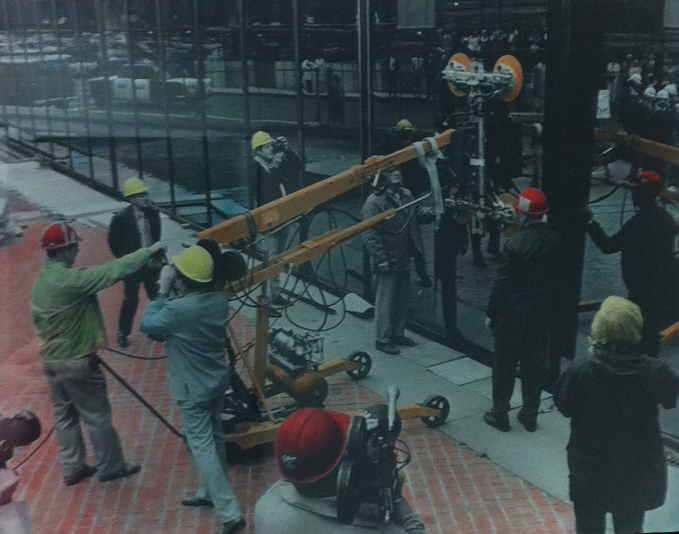 It currently hangs in the corridor that leads to the executive offices. 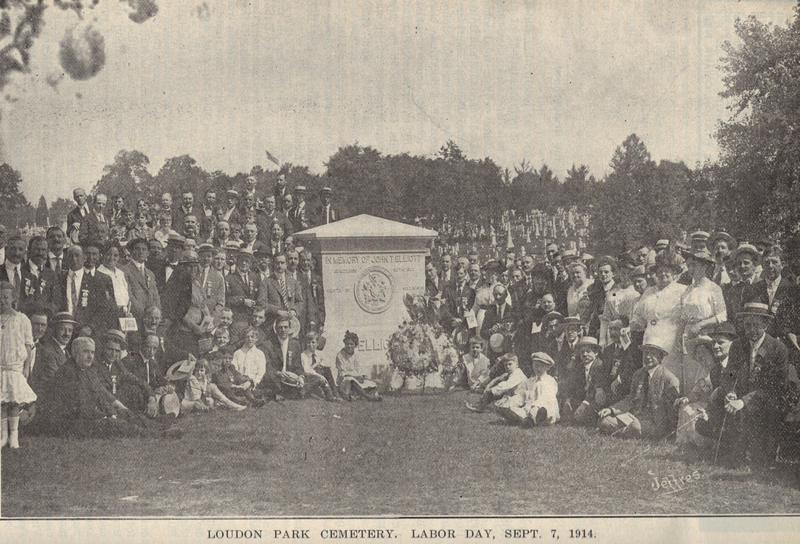 September 7, 1914: Union dignitaries, painters and their families gathered at Loudon Park Cemetery in Baltimore for the dedication of a monument to honor Brotherhood founder and first GST John T. “Jack” Elliott. 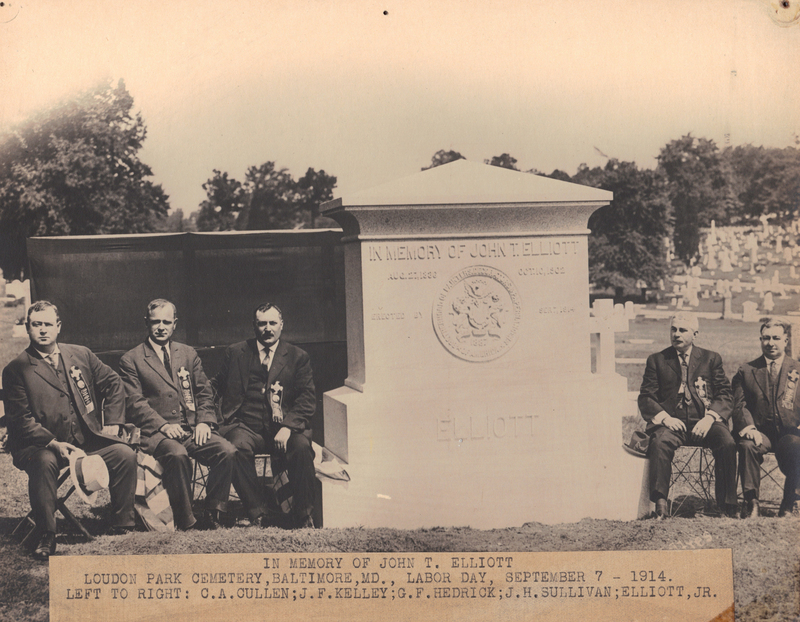 Elliot had been buried in an unmarked grave for nearly 12 years before the Brotherhood intervened and provided for a proper resting place for him. September 7, 1914: Brotherhood officers gather at Loudon Park Cemetery in Baltimore for the dedication of a monument to honor Brotherhood founder and first GST John T. “Jack” Elliott. 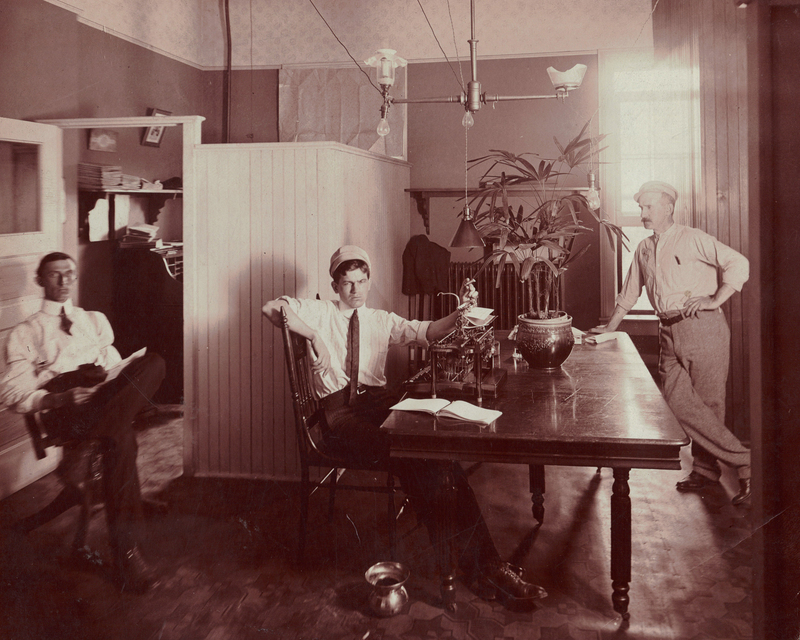 December, 1918: World War I painters pose for a photograph in Fort Sheridan, Illinois. 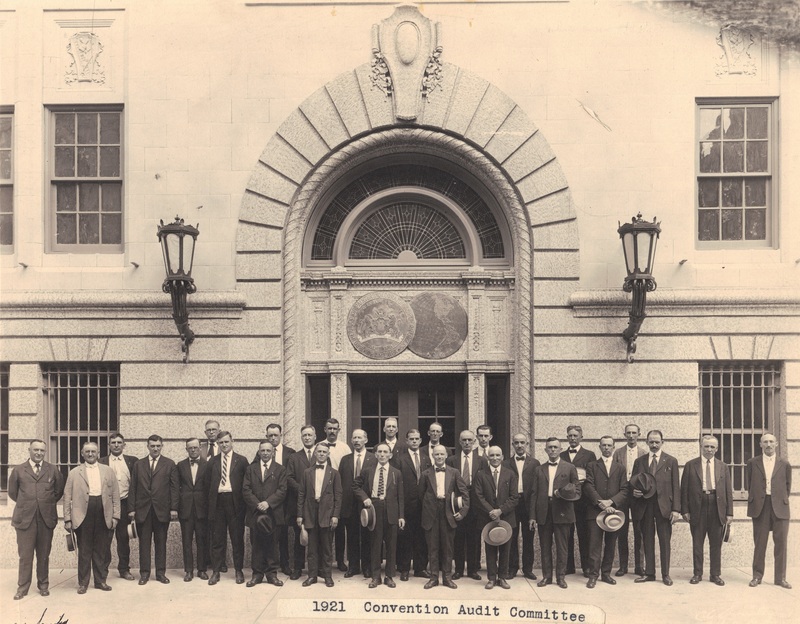 The 1921 Convention Audit Committee poses for a photo in front of the newly opened IBPAT headquarters in Lafayette, Indiana. 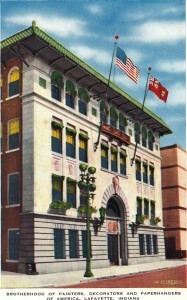 In 1921, the Brotherhood finished construction on its first real home – the new International headquarters in Lafayette, Indiana.The upper front of the four-story reinforced concrete structure was covered in cream-colored glazed tile; the lower story and the entry way were done in brown granite. 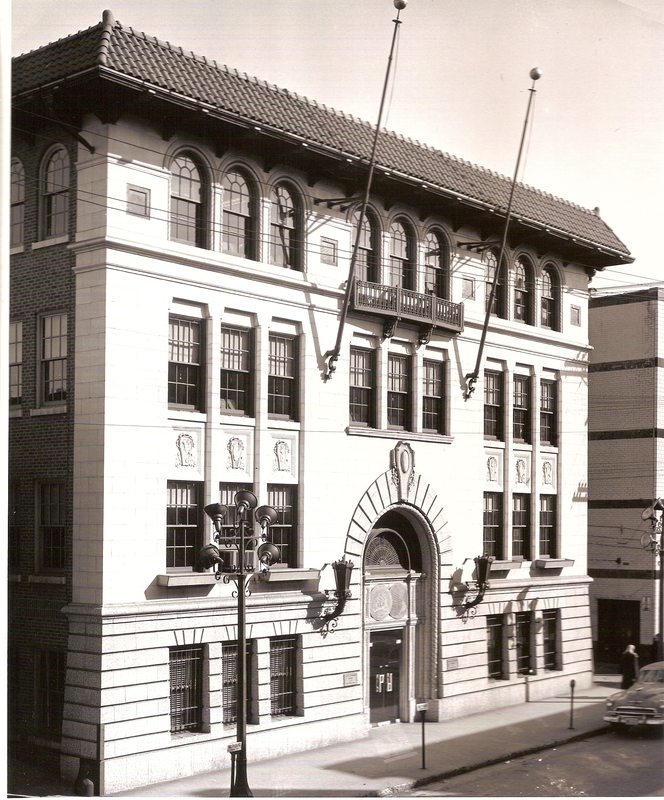 The interior featured ornate Italian decor with terra cotta finish and gold leaf filigree. The building was refurbished in the late 1940s, its new modern entryway featuring glass doors and panels set in metal trim. 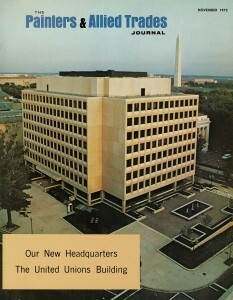 Most of the headquarters’ offices remained until 1967, when they moved to Washington, DC. The General Secretary-Treasurer’s office, however, would continue to rent space until 1972. 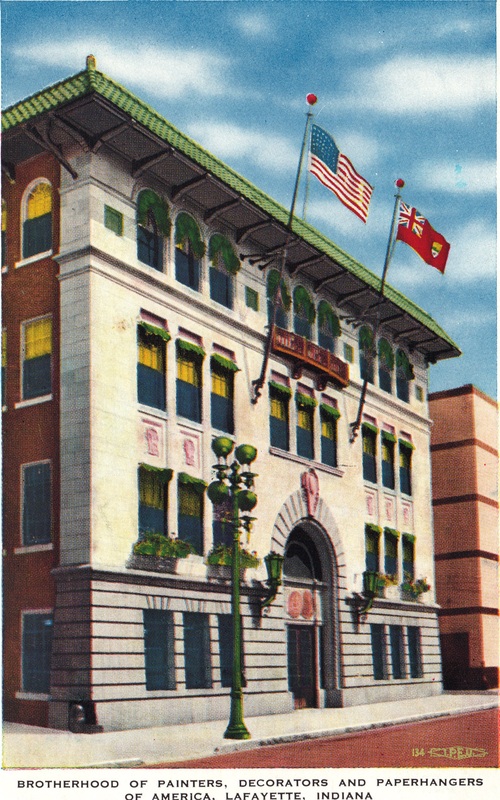 The first headquarters in Lafayette, Indiana, colorized for a postcard. Local 636 (Los Angeles, California) glaziers prepare glass for installation, circa 1927. 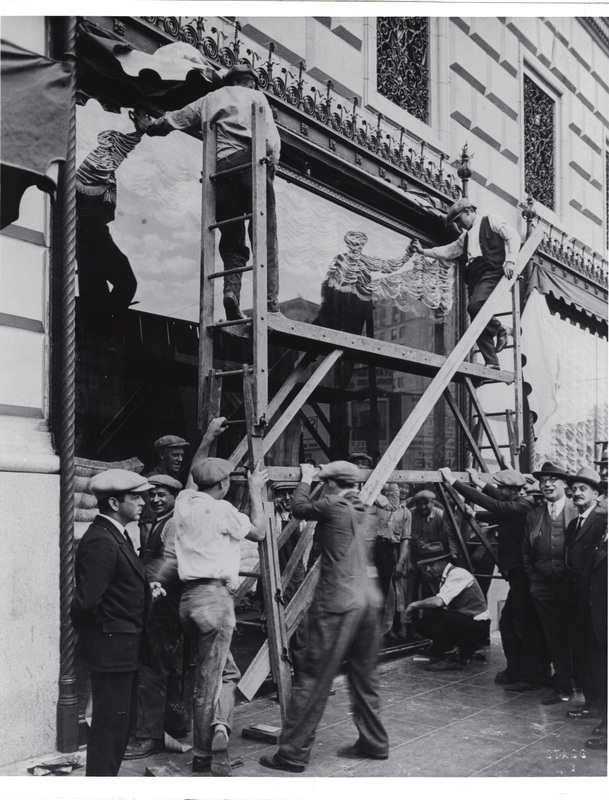 Local 636 (Los Angeles, California) glaziers install a large glass plate, circa 1927. 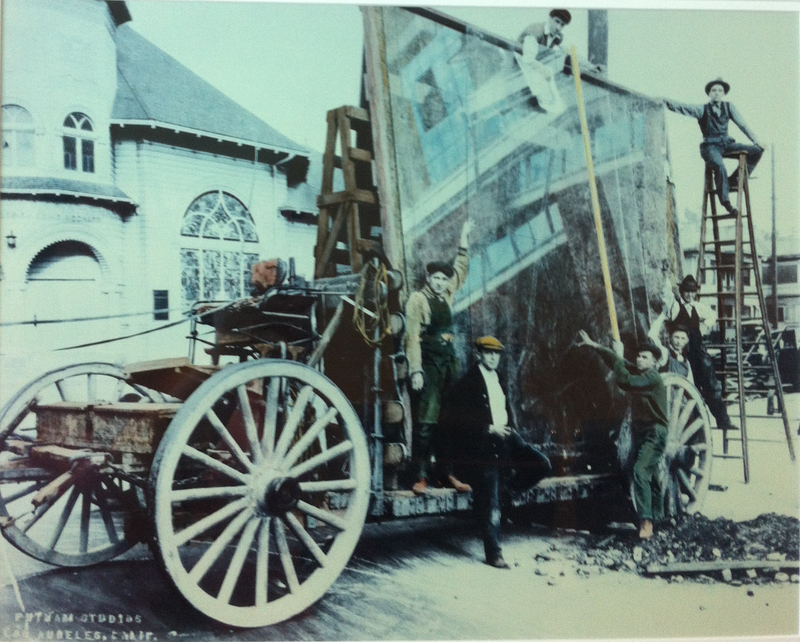 Local 636 (Los Angeles, California) glaziers pose next to a horse-drawn glass cart circa 1927. 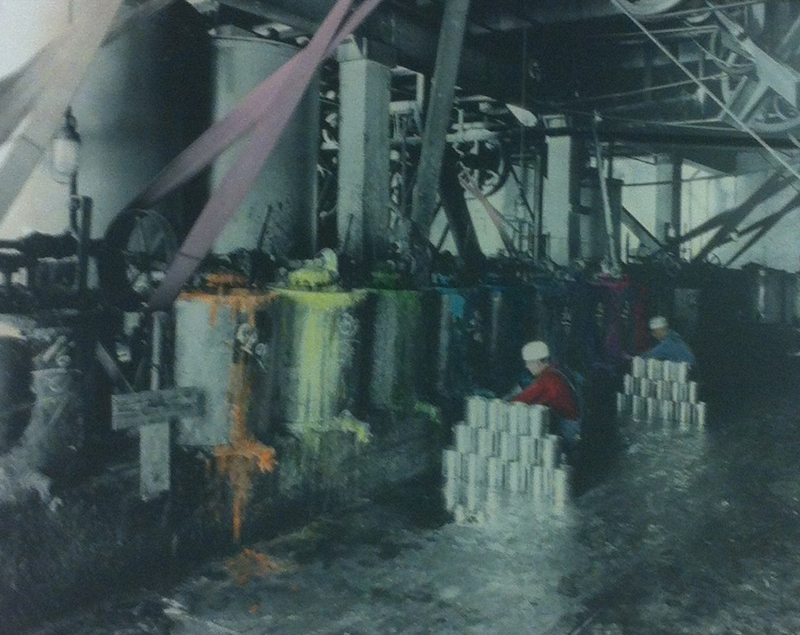 Colorized for display in the International offices in the late 90s, this photo currently hangs in the General Executive Boardroom with others from its time period. 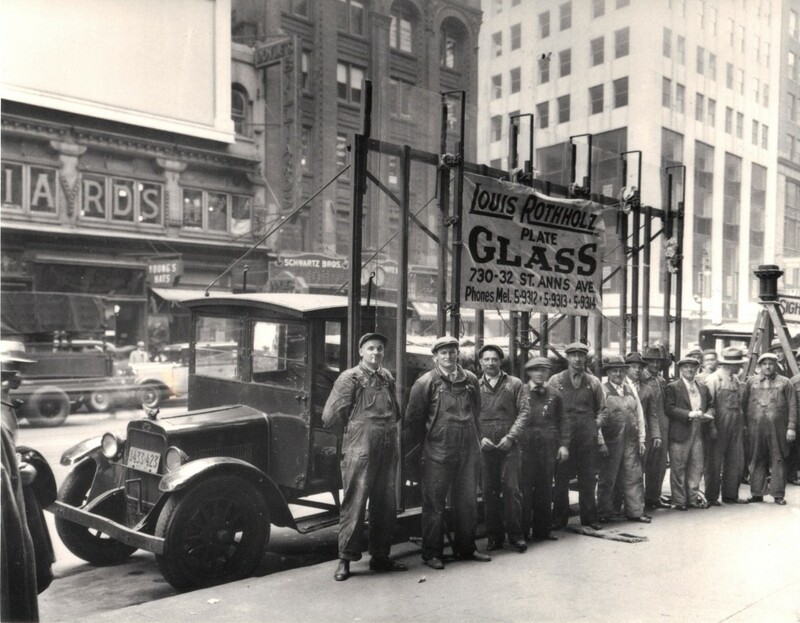 Glaziers from Louis Rothholz Plate Glass in Bronx, NY pose for a photo, circa 1930s. 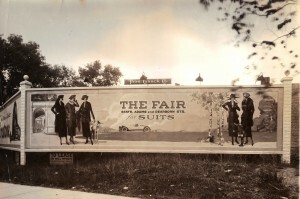 In the early 20th century, it was common for ads like these to be painted on the sides of buildings. To the left, you can see part of a Firestone ad, while the ad in the front appears to be for the Chicago World’s Fair, aka ‘The Fair’, circa 1933. The ads are painted on the side of the Thomas Cusack Company building. 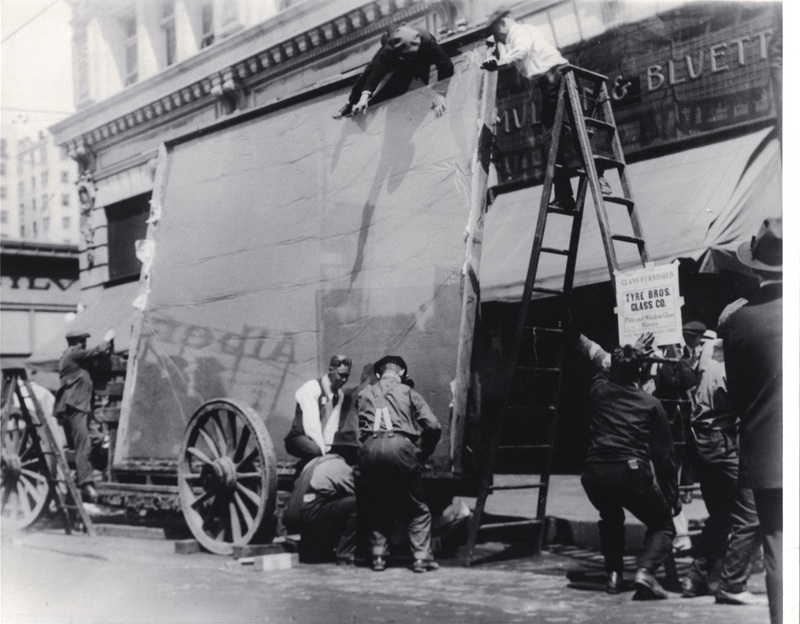 Cusack, a longtime outdoor sign painter who was dubbed the “Billboard Baron,” was known for his fair labor practices and amicable relationships with his employees. 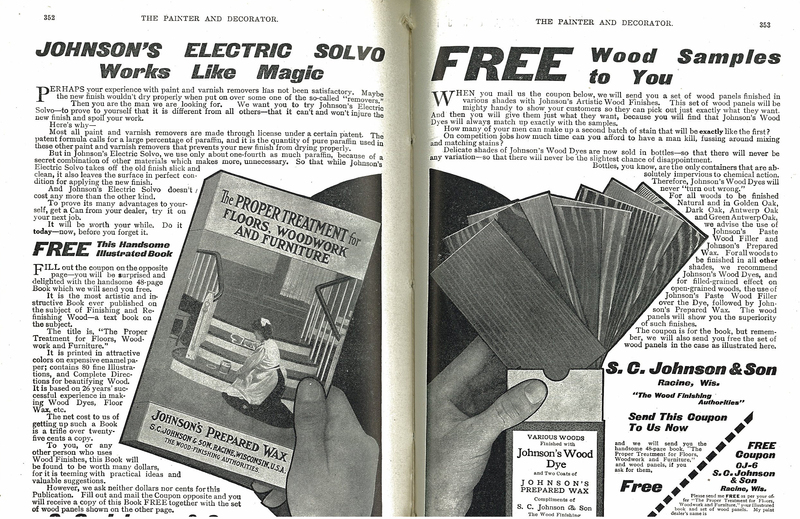 This ad for Brotherhood insignia items was printed in a 1937 issue of the Painter and Decorator. 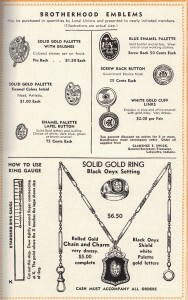 Many of the items include the painter palette, and as indicated by the note on the bottom, cash was required for all purchases. 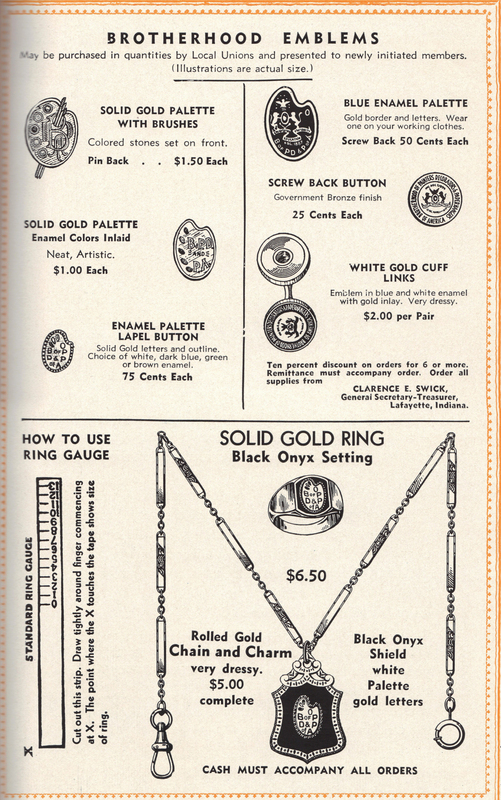 Take out your latest copy of the Journal and compare this image to today’s ad for IUPAT insignia gifts. 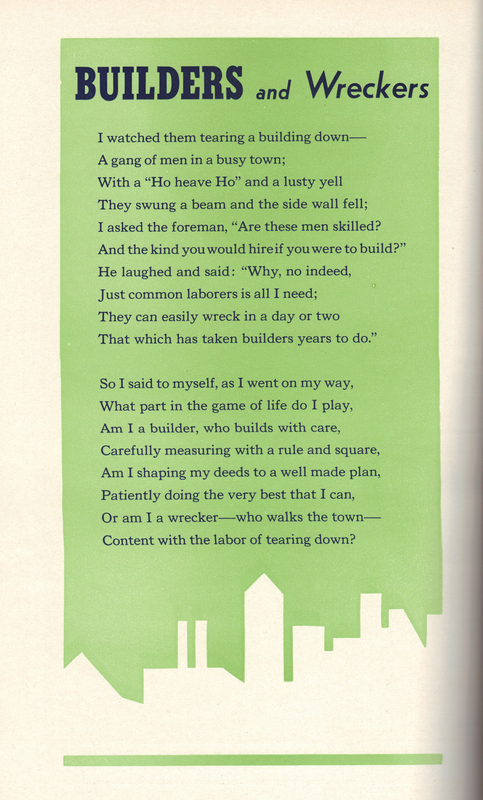 Many issues of the Painter and Decorator included poems like this one, taken from a 1937 issue. 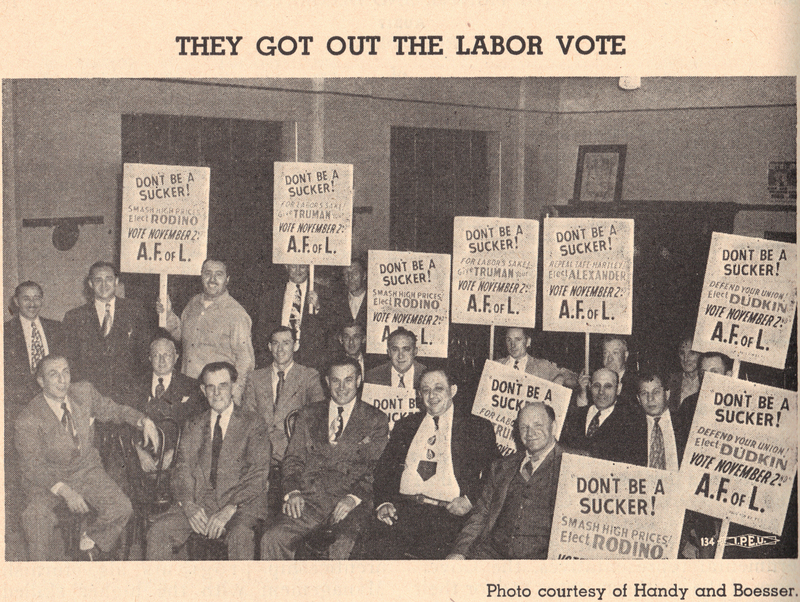 In November 1948, members of District Council 10 (Newark, New Jersey) played a pivotal role in getting labor-friendly politicians elected in the general election. 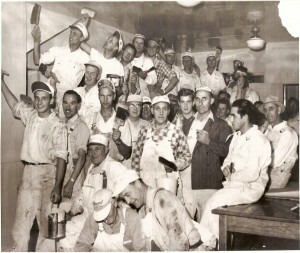 Kansas City paint makers from Local 754 at a filling plant, circa 1940. 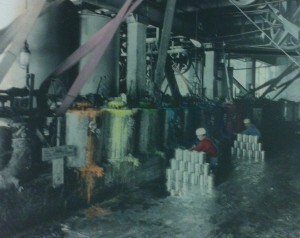 This photo was colorized for display in the International headquarters. 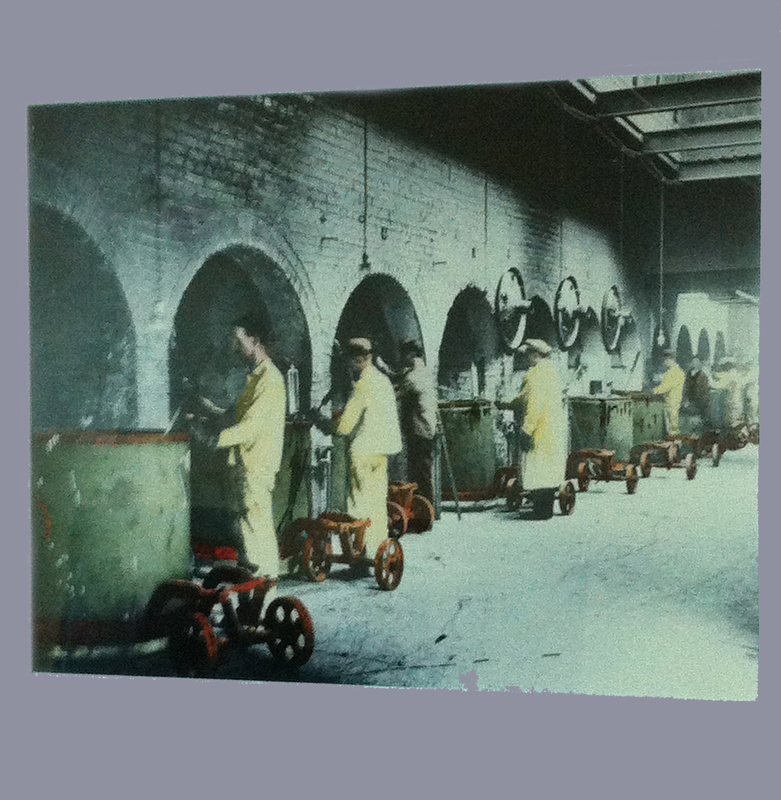 It currently hangs in the corridor that leads to the executive offices. 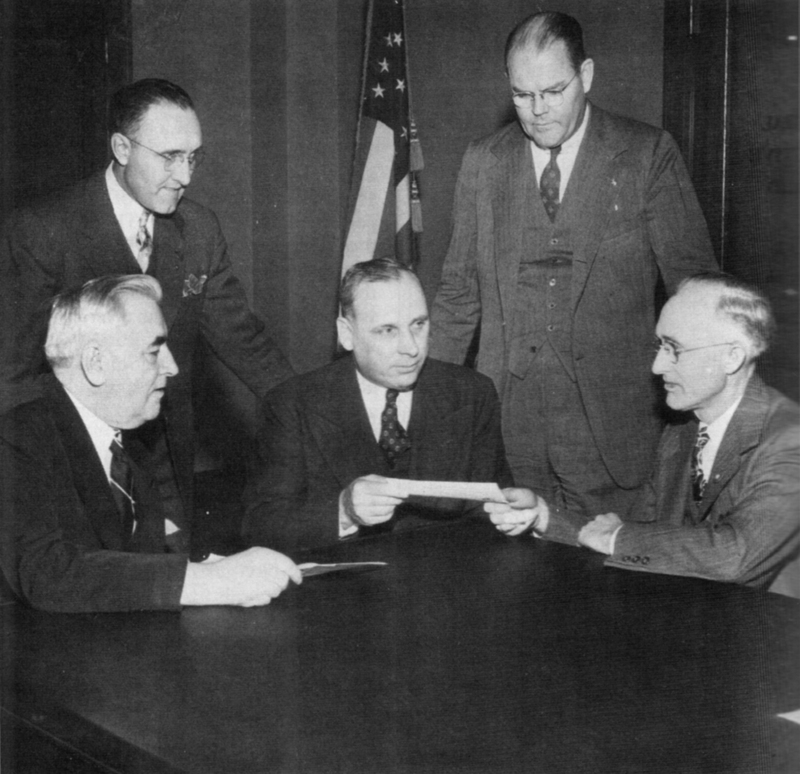 April 8, 1943: General President Lawrence P. Lindelof (seated at left) and General Secretary-Treasurer Lawrence M. Raftery present a check to the Second World War Loan Drive Committee to purchase $200,000 worth of war bonds to help win World War II. 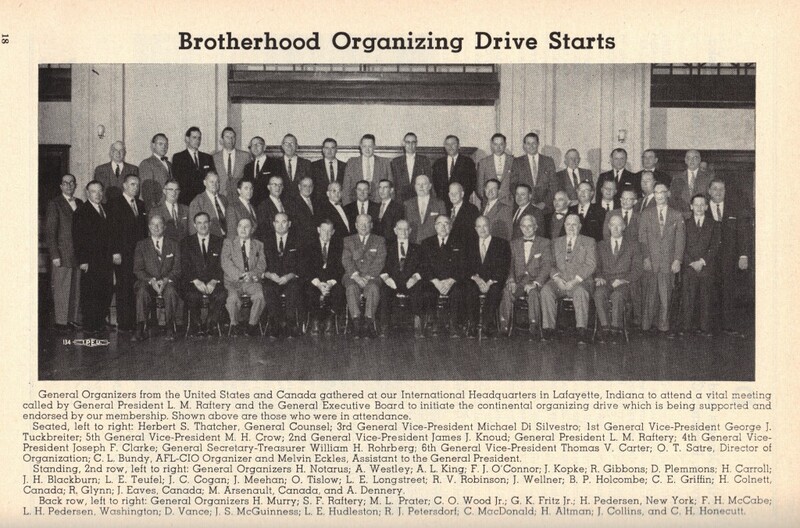 April 1958: The Brotherhood’s original organizers. 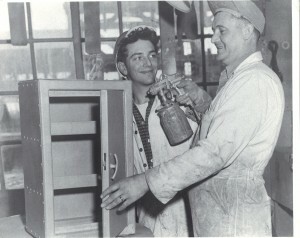 A Local Union 138 (Vancouver, British Columbia, Canada) painter teaches an apprentice how to use a “cup gun” at the Burrard Drydock. 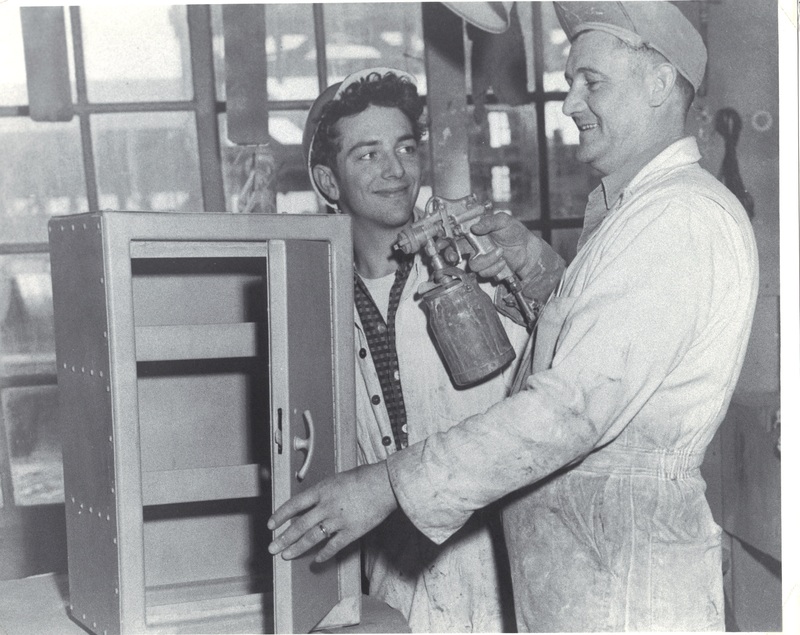 “Cup gun” demonstration circa 1950s. IBPAT DC 80 housepainters in Kenner, Louisiana, circa 1950. IBPAT DC 80 housepainters in Kenner, Louisiana circa 1950. 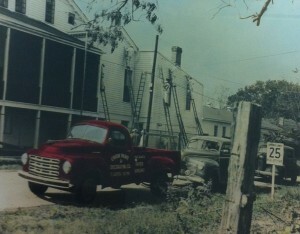 This photo was colorized for display in the International headquarters. It currently hangs in the corridor that leads to the executive offices. 1954 General Convention, Seattle, Washington. September 1957: Local 138 (Vancouver, British Columbia, Canada) painters perform charity paint work. 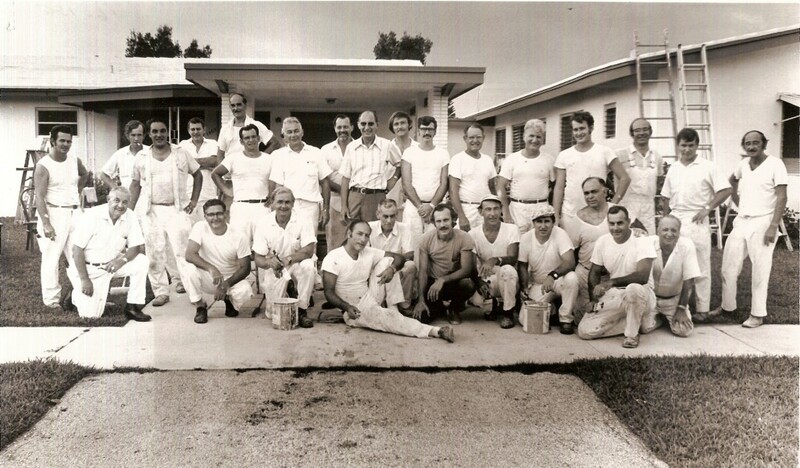 A group of house painters, circa late 60s/early 70s. 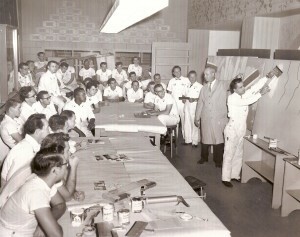 A drywall finishing class, circa 1960s. 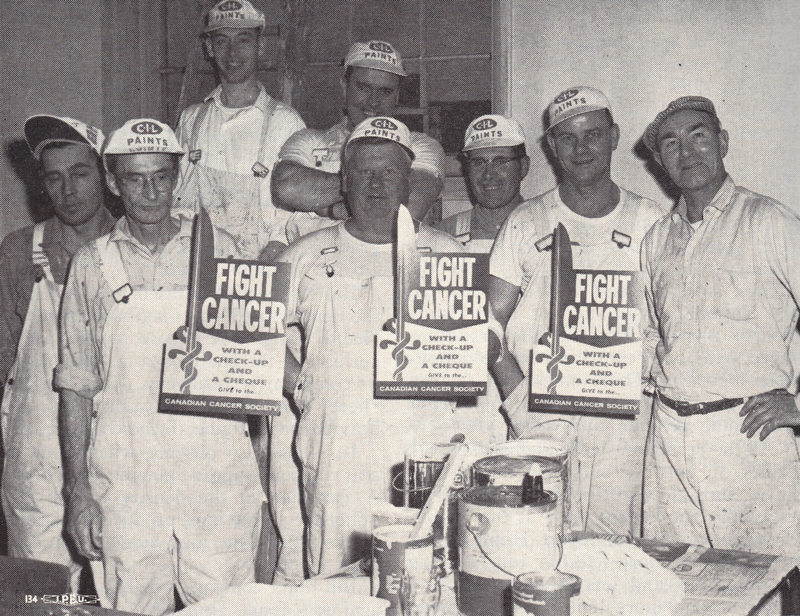 Members of Local 1590 (Sarnia, Ontario, Canada) volunteer at the Canadian Cancer Society of Sarnia. 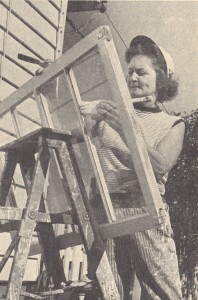 In 1967, Local 583 (Calgary, Alberta, Canada), initiated Mrs. Evelyn Pederson, its second female member since the charter had been granted 62 years before. 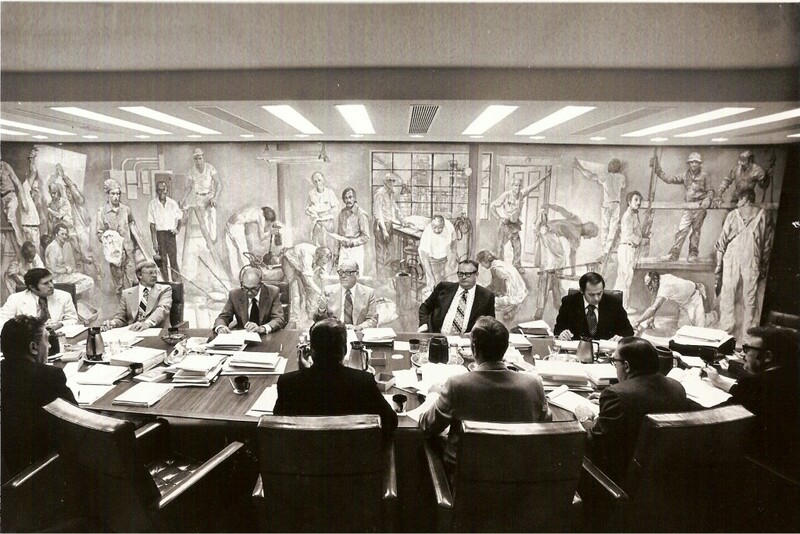 One of many meetings that took place over the course of the more than 25 years that Herb Steinberg’s 8’6” y 30’ mural, “Painters and Allied Trades,” hung in the boardroom at the Brotherhood headquarters. 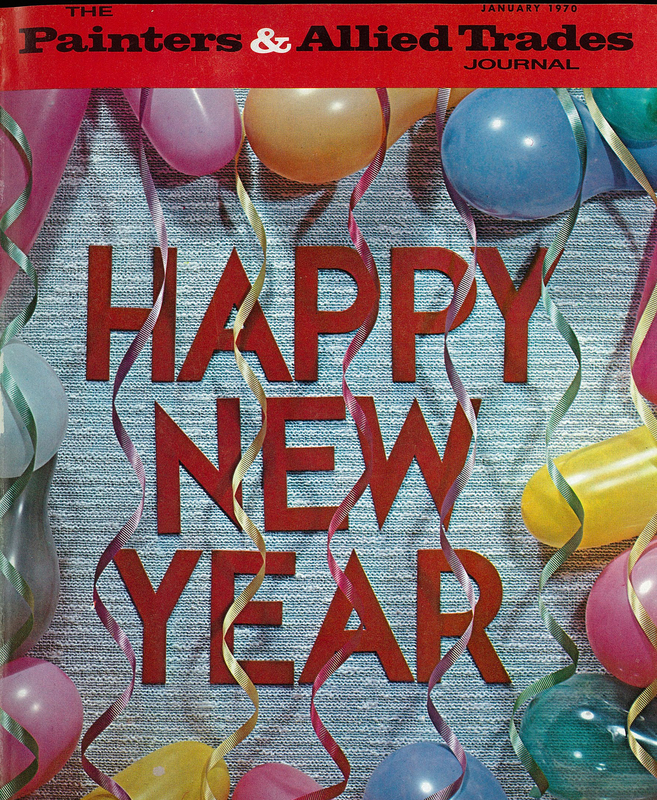 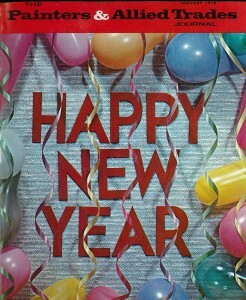 January, 1970: A new name and logo for a new year. 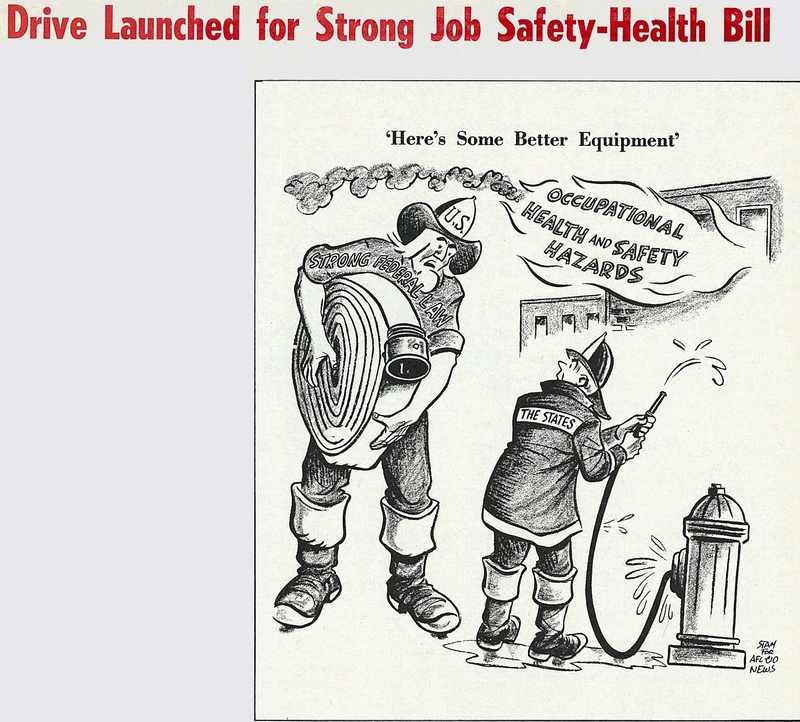 In the August 1970 Journal, the IBPAT displayed this cartoon alongside an article explaining the benefits of the Occupational Safety and Health Act, the primary federal law which governs occupational health and safety in the private sector and federal government in the United States. 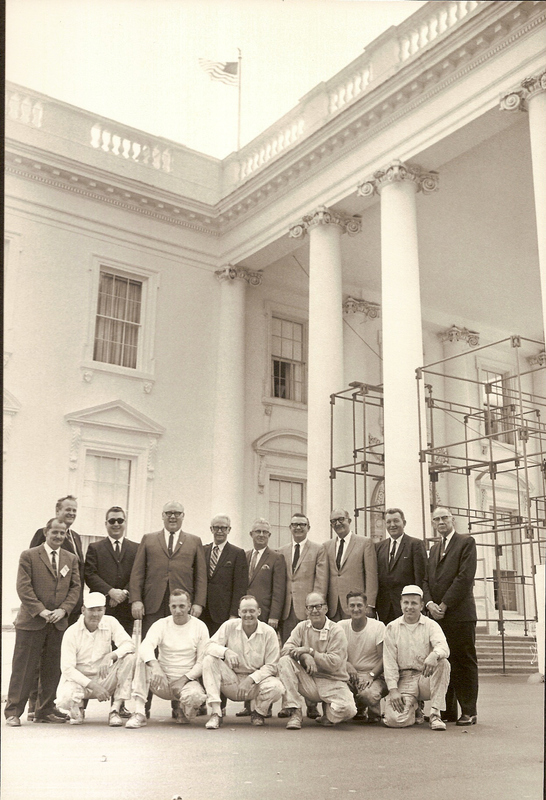 It was enacted by Congress in 1970 and was signed by President Richard Nixon on December 29, 1970. 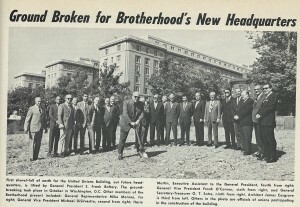 In November 1970, alongside members of the Sheet Metal Workers International Association, International Association of Fire Fighters , and the Ironworkers, the IBPAT broke ground on the United Unions Building, located on New York Avenue in Washington, DC, one block from the White House. 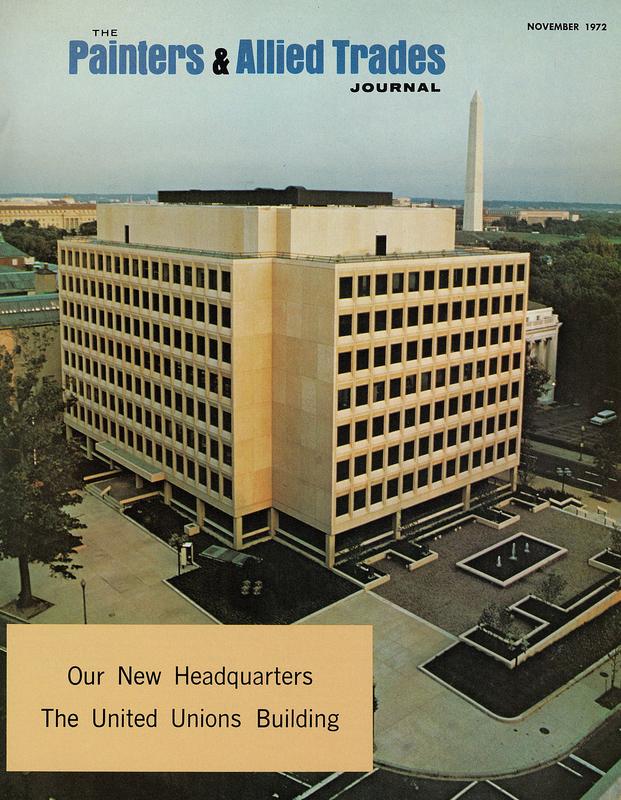 In November 1970, after two years of construction on the United Unions building, the IBPAT moved its entire headquarters, including those from the General Secretary-Treasurer’s office still located in Lafayette, Indiana, into its new home. 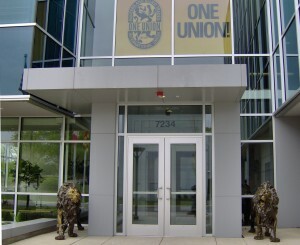 The United Unions Building, a 100 foot by 200 foot eight-story building located near the Corcoran Gallery of Art , American Red Cross, and one block from the White House, would later appear in the 2010 Angelina Jolie film “Salt.” Some IUPAT staff members watched from the balcony as Ms. Jolie filmed scenes. 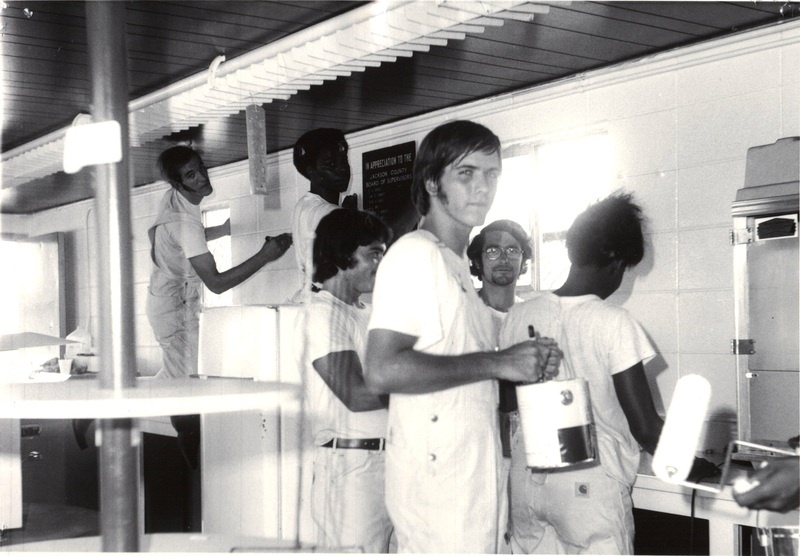 September 1972, Local 1225 (Pascagoula, Mississippi) apprentices paint a letter league concession stand. A Job Corps apprentice paints a sign at Mammoth Cave Baptist Church at Mammoth Cave National Park in Kentucky, circa early 70s. 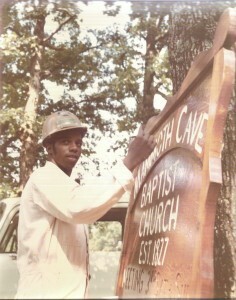 A sign and pictorial painter illustrates his craft in the early 70s. 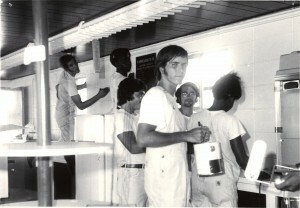 In 1974, Steinberg won a panel contest sponsored by the Brotherhood and the Painting and Decorating Contractors of America through the National Joint Apprenticeship Training Committee. 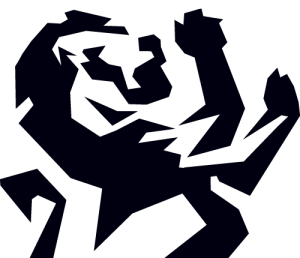 First place prize? 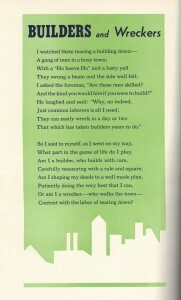 Steinberg’s artwork was hung in the boardroom of the Brotherhood’s headquarters in Washington, DC. The mural was done on a single canvas, stretched to meet the required dimensions. It was done in Grisaille art form, a monochromatic painting done in various forms of gray. 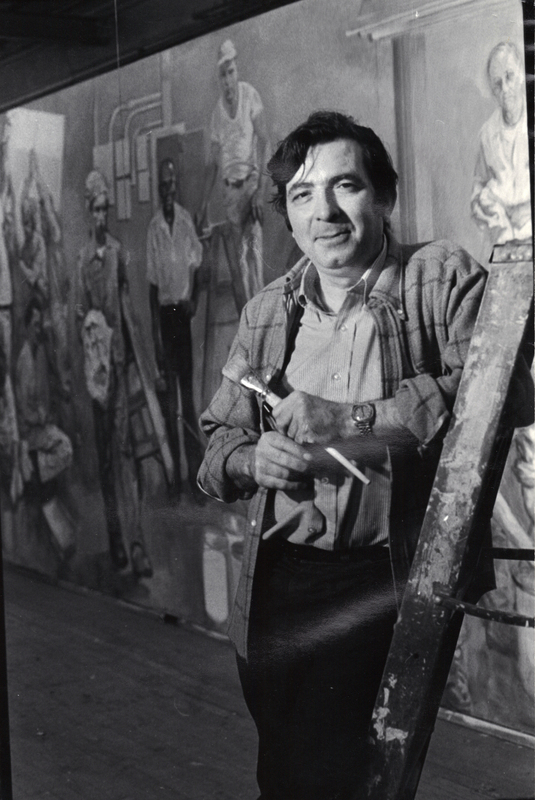 It took Steinberg nearly a year to paint the mural in a large space he acquired in a vacated New Jersey factory. 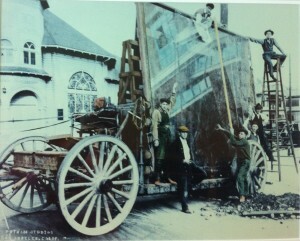 Upon completion, the mural was removed from its frame, and the canvas carefully rolled and shipped to Washington. 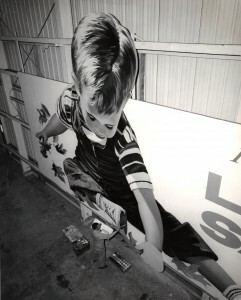 It was insured for $8,000.00, and accompanied by the artist. Once it reached the headquarters, the ceiling of an elevator had to be removed to accommodate the mural. 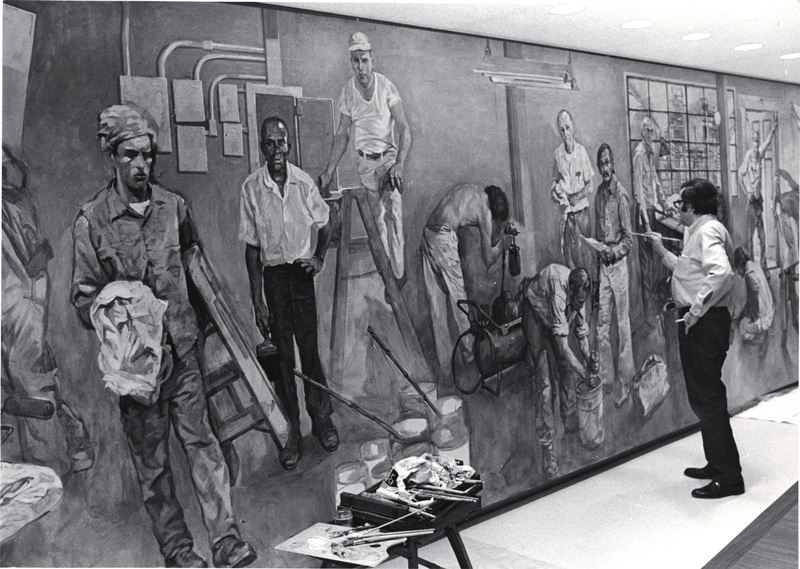 Herb Steinberg poses with his 8’6” by 30’ mural, “Painters and Allied Trades,” in the boardroom at the Brotherhood headquarters. 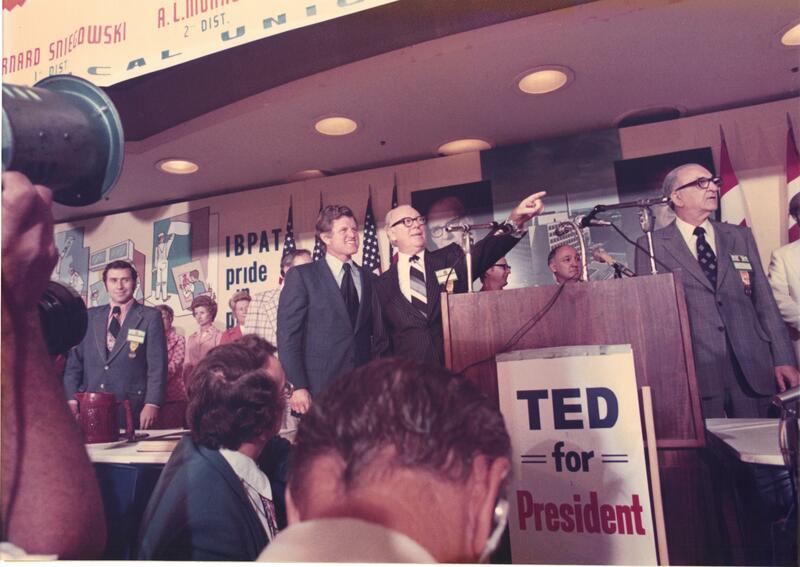 “With your help, we can restore the vigor to our children and decent health care to our families. 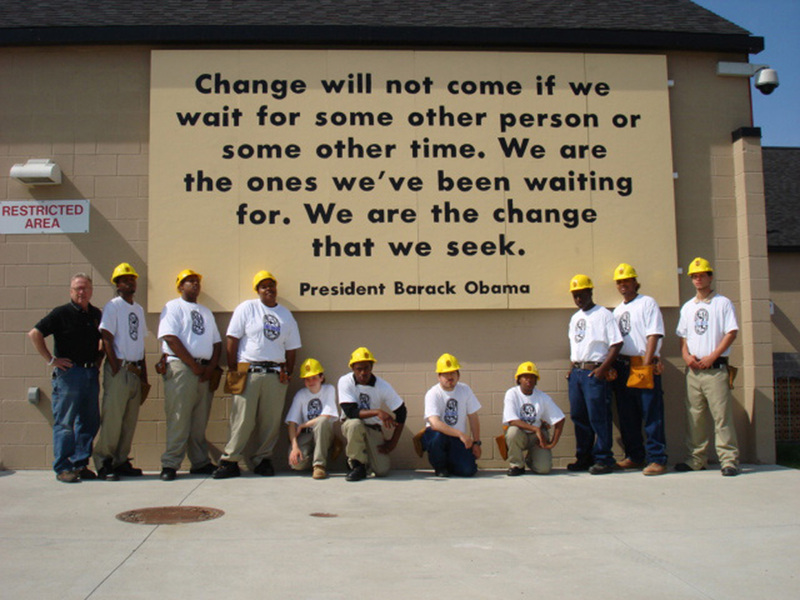 We can guarantee dignity to our elderly, exciting opportunities to our youth. 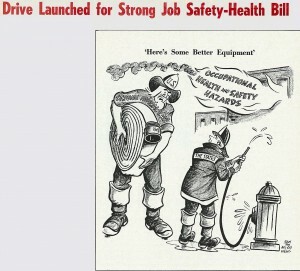 We can achieve a new quality of life for all Americans. The challenge is to call together the daring and the unreconciled, and to commit our energies, our ideas and our talents to that goal. 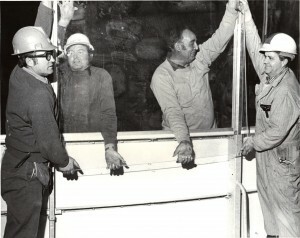 Members of Local 1339 (Hartford, Connecticut) install a safety shield at the Hartford Civic Center, circa the mid 1970s. 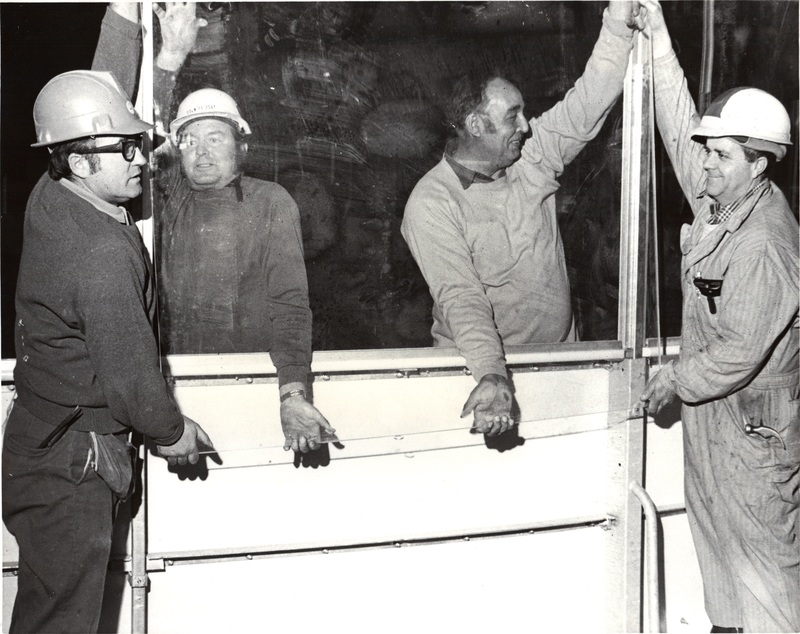 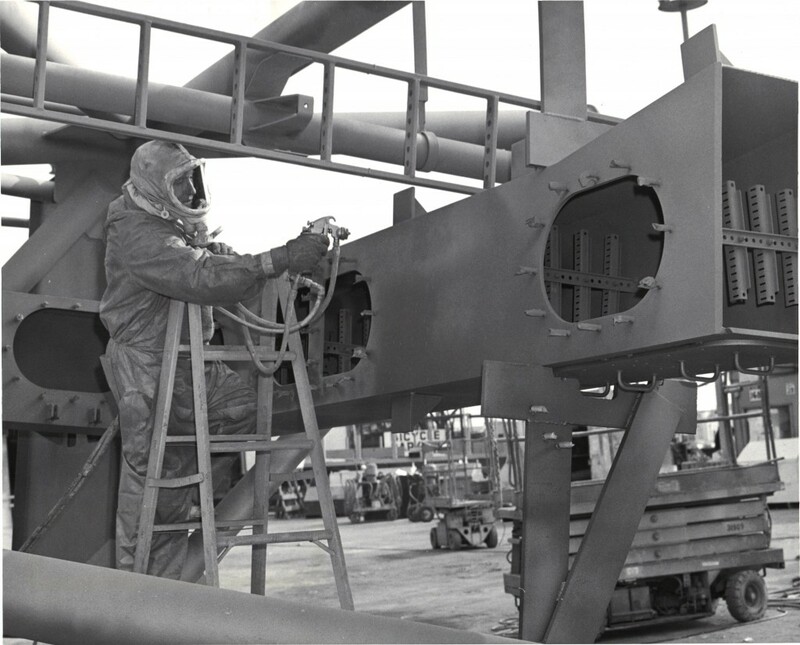 End phase of a tempered glass installation in an unknown location in the Spring of 1975. This photo was colorized for display in the International headquarters. 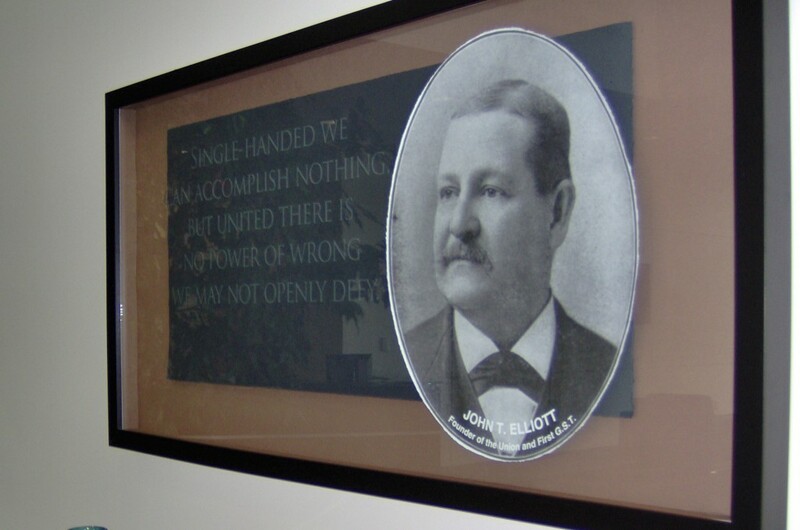 It currently hangs in the corridor that leads to the executive offices. 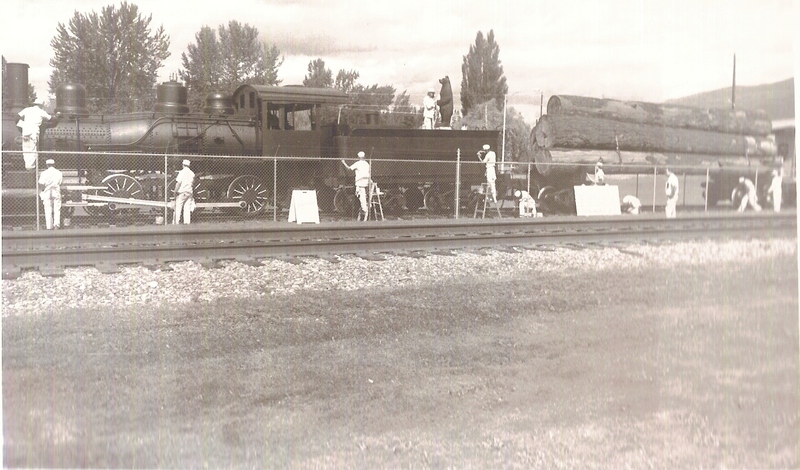 Cascades Job Corps Center students paint the historic steam locomotive “Ole #2 Spot” in Sedro Woolley, Washington, circa the mid 80s. 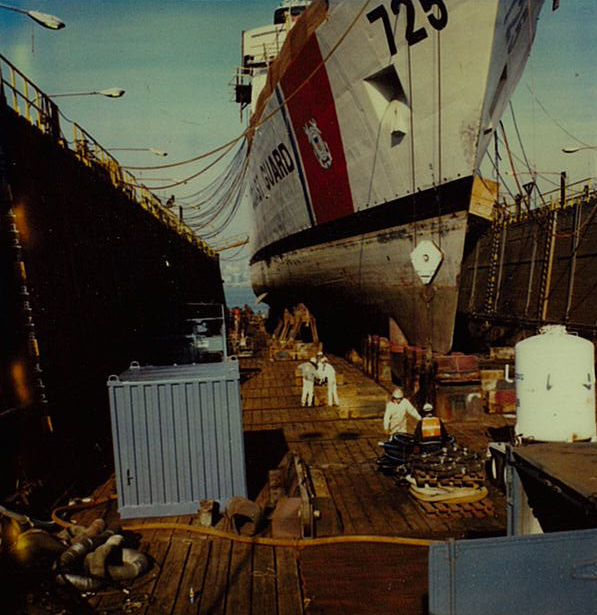 District Council 5 (Seattle, Washington) paint crew members prepare to blast and paint the bottom of United States Coast Guard Cutter Jarvis (WHEC-725), circa 1988. Local 333 (La Mesa, California) member Raul Vargas, industrial spray painter, on January 8, 1991. In August 1994, General President James A. Williams (far left) was elected the allied region general vice president of the IBPAT. 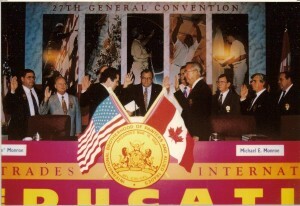 He is shown taking the oath with the other newly elected officers at the 1994 general convention. In the interest of the IBPAT’s growing female membership, General President Michael Monroe announced a new name at the 1999 general convention: The International *Union* of Painters and Allied Trades (IUPAT). 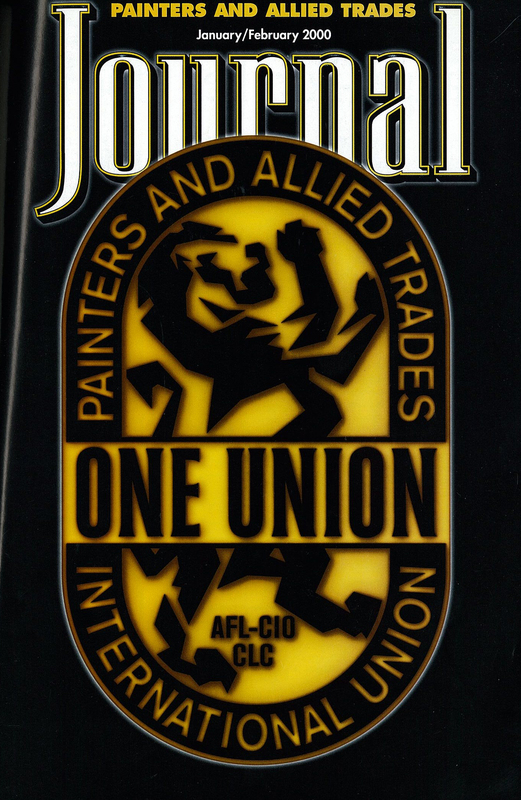 The January/February 2000 issue of the Painters and Allied Trades Journal featured the new name and logo. 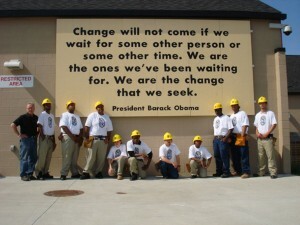 Mark McIntyre (left), Sign and Display program instructor at the Atterbury Job Corps Center in Indiana, poses alongside apprentices upon their completion of a sign quoting then presidential hopeful Barack Obama. 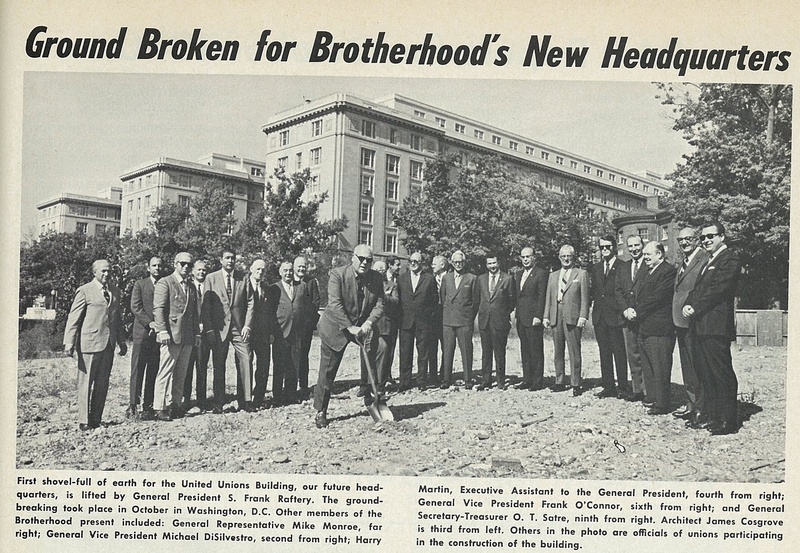 “Single-handed we can accomplish nothing, but united , there is no power of wrong we may not openly defy.” – John T. “Jack” Elliott, founder and first GS-T of the Brotherhood. 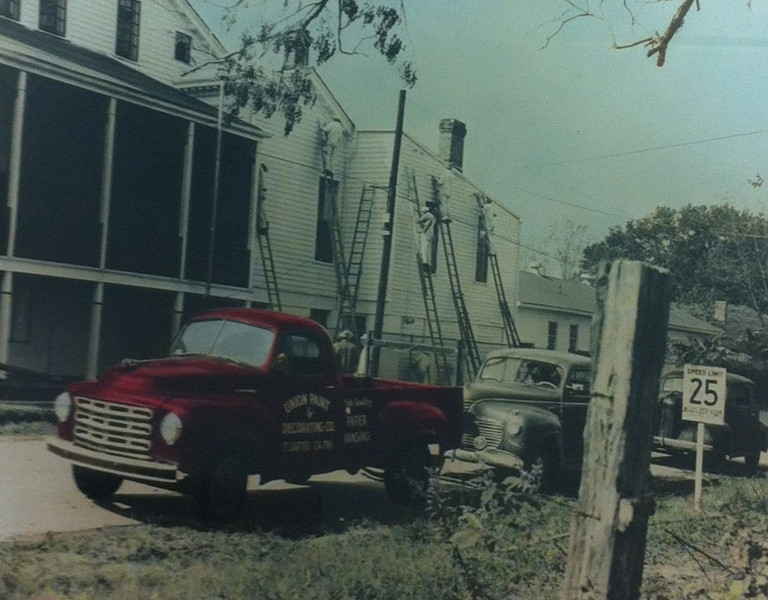 This image hangs in the main lobby of the Hanover headquarters. 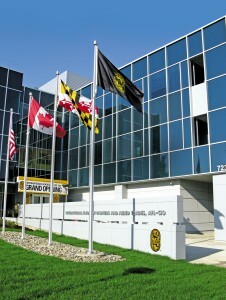 On August 23, 2010, the International headquarters offices, moved into their new home in Hanover, Maryland. 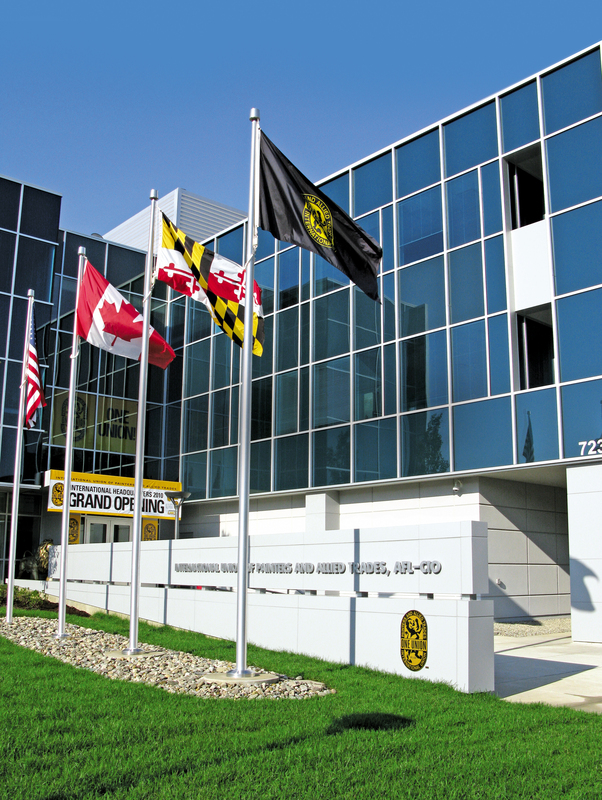 The new building is part of a campus that includes the International Training Center (which houses the Finishing Trades Institute and Job Corps program), and the 36-room IUPAT residence hall. 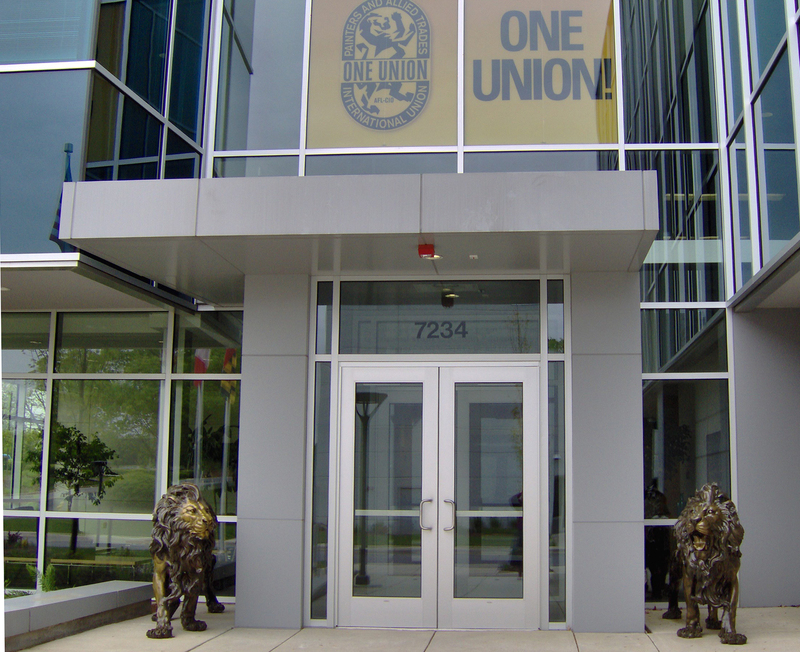 Two lions adorn the main entrance to the Hanover headquarters.